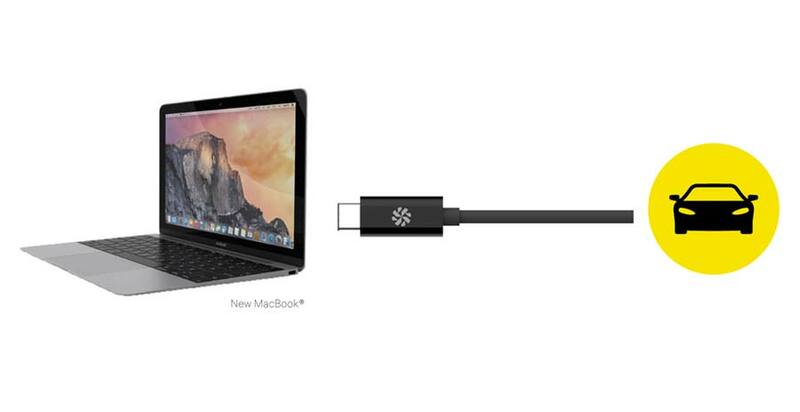 Quickly and easily charge your new MacBook® from the comfort of your vehicle. Includes an extra USB port to charge your iPhone or iPod. The USB-C™ Car Charger is the first car charger with a built-in USB-C cable. 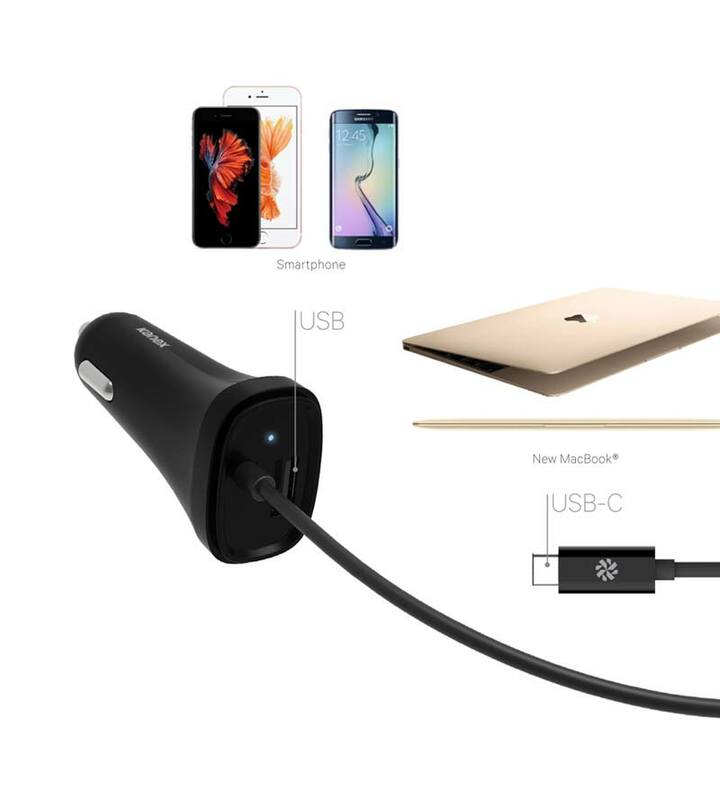 This cable will let you charge your new MacBook and any other USB-C ready device from the comfort of your car. At 4 feet long, the cable can reach your dashboard with ease and even the back seat. Simply plug into your car’s 12-volt outlet. An LED signals that the charger is on and ready to charge. Connect to your USB-C™ enabled device or plug in a standard USB cable and you’re ready to charge. We’ve designed our USB-C™ Car Charger for both the new and the current technology. The built-in cable is equipped with a USB-C connector designed for the new MacBook and similar devices. We’ve also added a standard USB port so you can power up your iPhone®, iPod®, and many more USB friendly devices. This USB-C™ Car Charger features over-current and circuit protection to ensure that your device is protected at all times while charging. Our line of USB-C™ connectivity solutions is made with your needs in mind. As we welcome the new USB-C devices, we’ve identified a need to bridge the gap between the old, current and new technologies.